In ancient times, the laurel crown was a distinction given only to the greatest. The Greeks awarded laurel crowns to the winners of athletic competitions like the Olympics, and the Romans reserved them for triumphant military commanders. This is where the expression “resting on one’s laurels” comes from, as it describes someone who’s sort of coasting through life thanks to a great but past achievement. See? 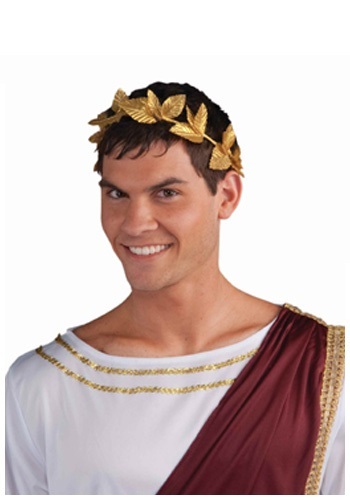 Halloweencostumes.com is a very educational website. Move over, Wikipedia. And do you know why you need our Gold Leaf Crown? Because you’re the greatest too! 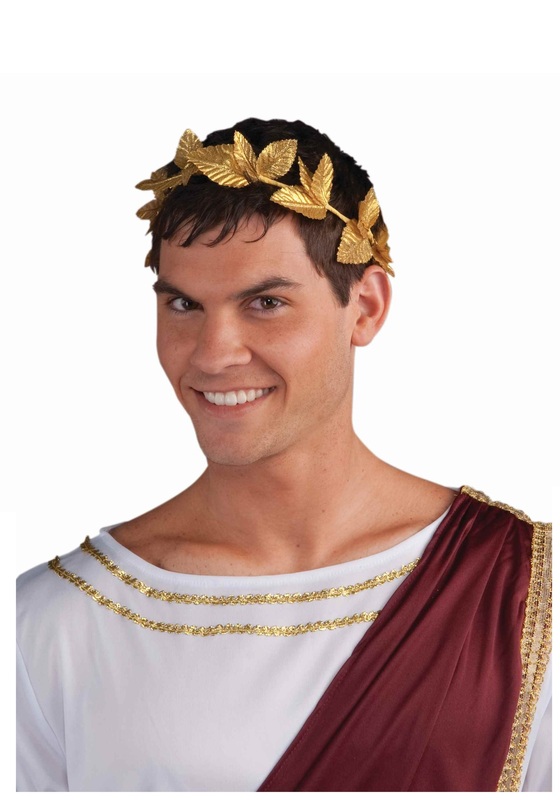 No Greek or Roman-themed costume is complete without this wreath sitting on the wearer’s head. Would you really disgrace Caesar by dressing up as him without this badge of honor to do him justice? Better not. The leaves are securely affixed to the band and elastic keeps it in place so you can party like it’s 99!